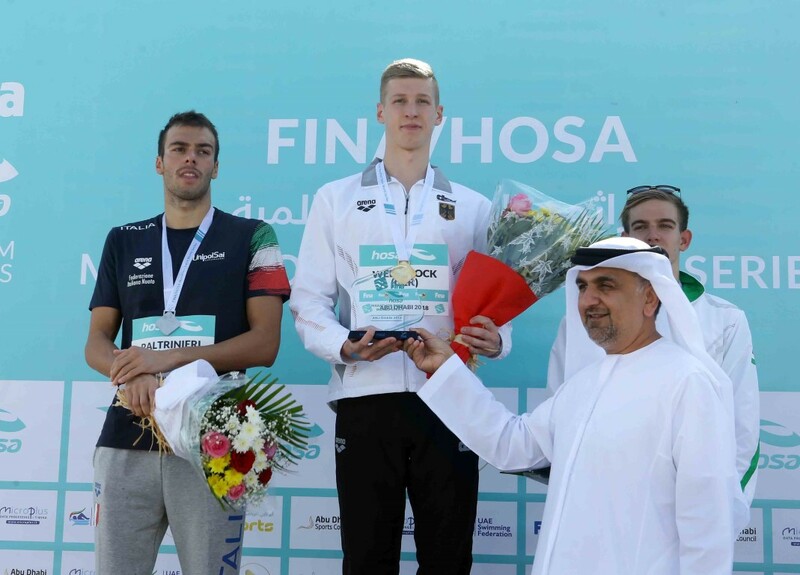 ABU DHABI, 9th November, 2018 (WAM) -- Florian Wellbrock of Germany and Adrianna Bridi of Italy emerged winners in the men’s and women’s FINA 10 Kilometre, km, Marathon Swim at the Abu Dhabi Sailing and Yacht Club, ADSYC, on Friday. Wellbrock touched the pad first for a time of 1hr:53mn:00.90s and was followed by Italian Gregorio Paltrinieri and Kristof Rasovszky of Hungary. "The race started really slowly and it remained like that until the 5km mark," Wellbrock said. "Then, things got a bit faster, but this initial pace allowed me to save some energy for the final. I could then manage to get into the last metres of the race with additional strength," he added. Wellbrock, also a pool swimmer, said he sincerely hoped that he could compete, both, in the 1500m free and 10km marathon swimming competition at the 2020 Olympics in Tokyo. "I will try to qualify for both," added the German. "Here, it was an easy race – the water was quite flat, so I could imagine swimming in a pool. I am happy, because being only my second race of the season, I won both!" Bridi, the 2017 women’s world champion, led a one-two finish for Italy. She clocked 2:00:21.80, to finish ahead of Rachele Bruni, the 2016 Olympic silver medallist. 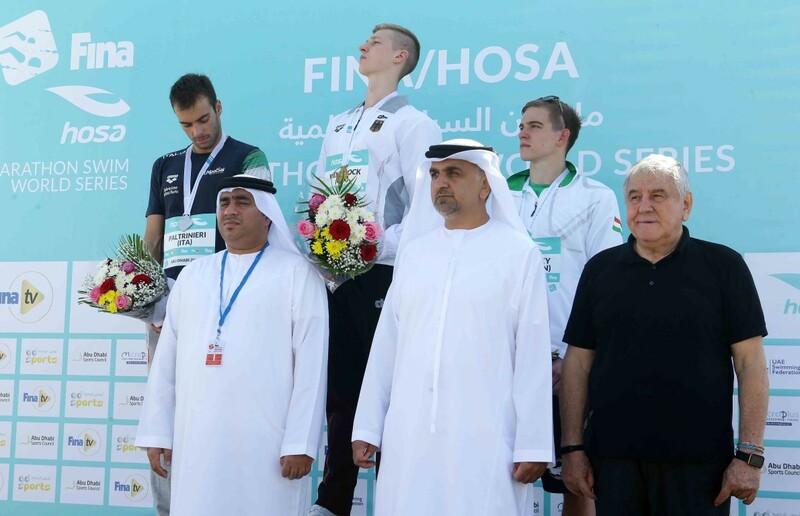 Aref Al Awani, Secretary-General of the Abu Dhabi Sports Council, ADSC; Sultan Al Samahi, President of the UAE Swimming Federation, and Cornel Marcalescu, FINA’s Executive Director, gave away the medals and trophies to the winners. Ahmed Al Qubaisi, ADSC’s Director of Marketing and Communication, said they were not yet looking ahead to Saturday’s FINA High Diving World Cup and the next staging of the 10km Marathon Swim. 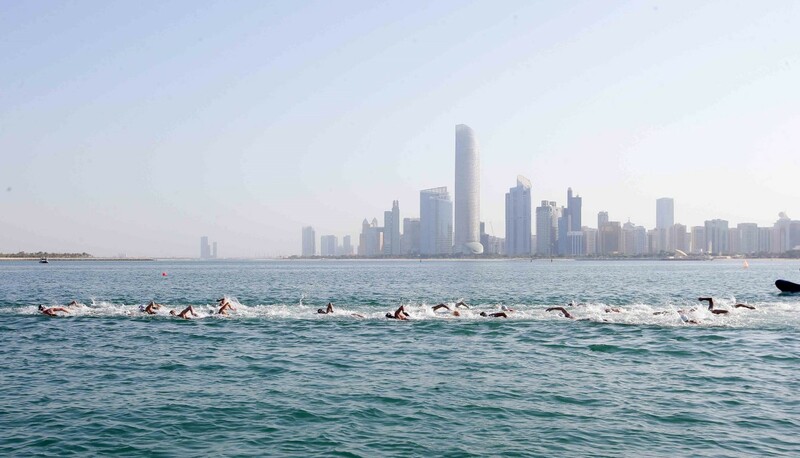 "It has been an absolutely gorgeous morning, with the elite swimmers competing for a world title on the one side and hundreds of amateur swimmers basking in the water in a community race organised by the ADSC, on the other," Al Qubaisi said. 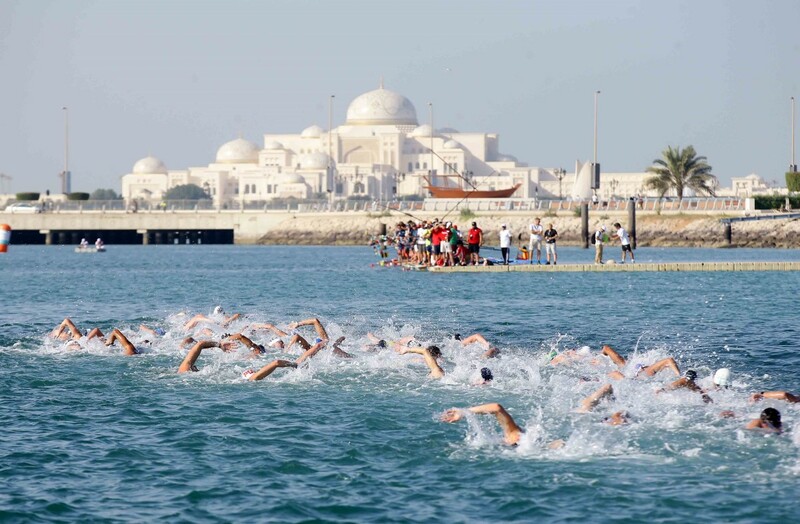 Abdullah Al Wahaibi, General-Secretary of the Swimming Federation, added, "We witnessed a world-class event and the crowning of the world champions in the race series. The experience for all those who were at the venue was exciting and overwhelming."